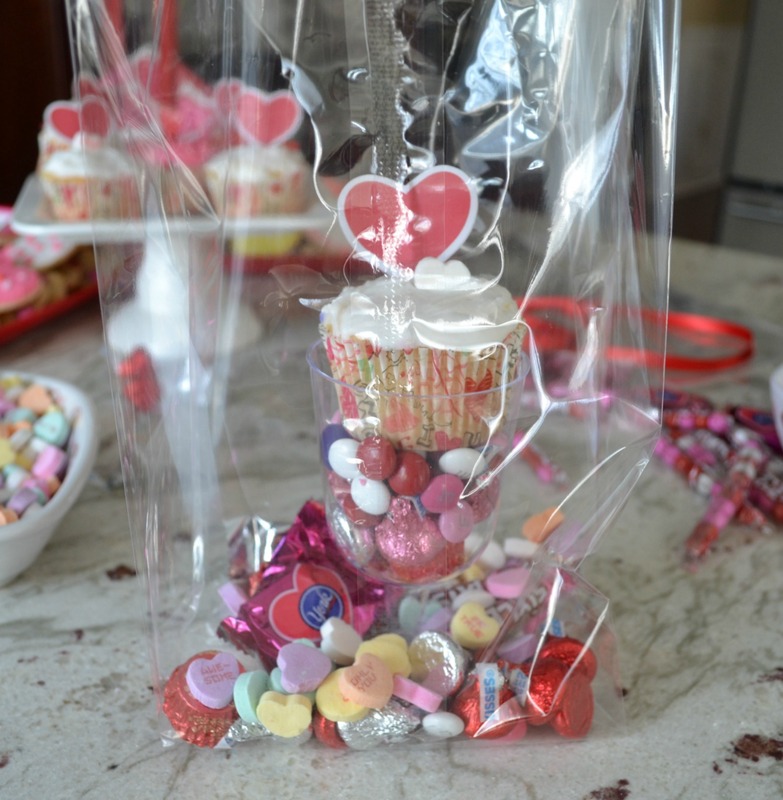 I also like to do the candy treat bags. 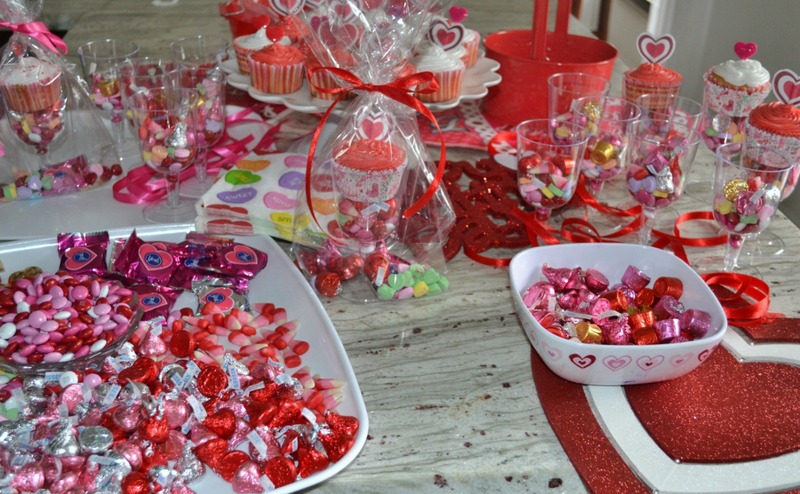 The items you will need are plastic stem glasses, large clear treat bags, cupcakes, candies, and ribbon. Bake the number of cupcakes you will need and frost them with your favorite icing recipe. The grandkids love to do this. They do not need to be decorated fancy. A good tip is to bake the cupcakes 2 days ahead of time. Place on a wire cooling rack and after they cool, cover the tops. I leave the bottoms exposed to dry longer. The first time I made these, the bottoms were so moist that when I put them on the candy, it became gummy. I buy these glasses at the Dollar store. You get 6 in a package for $1.00. Always buy extra because they can crack easy. 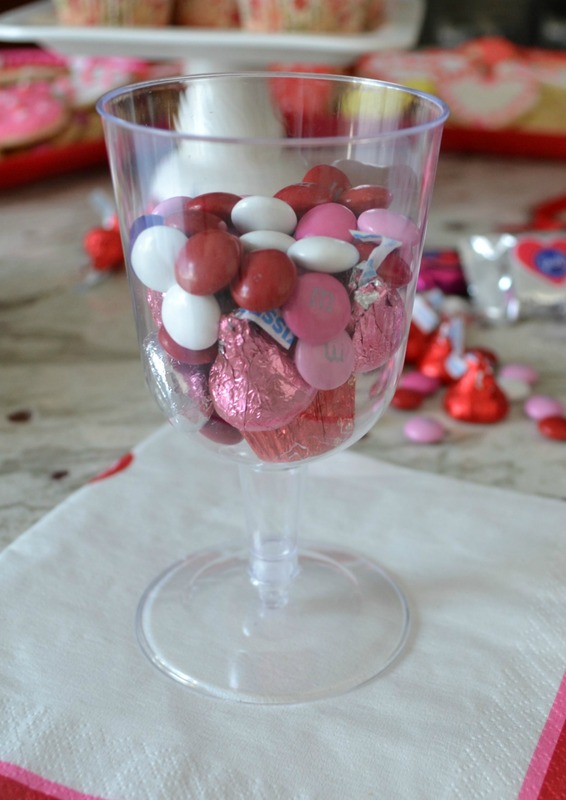 Fill the glasses about 2/3 full with a variety of small candies. 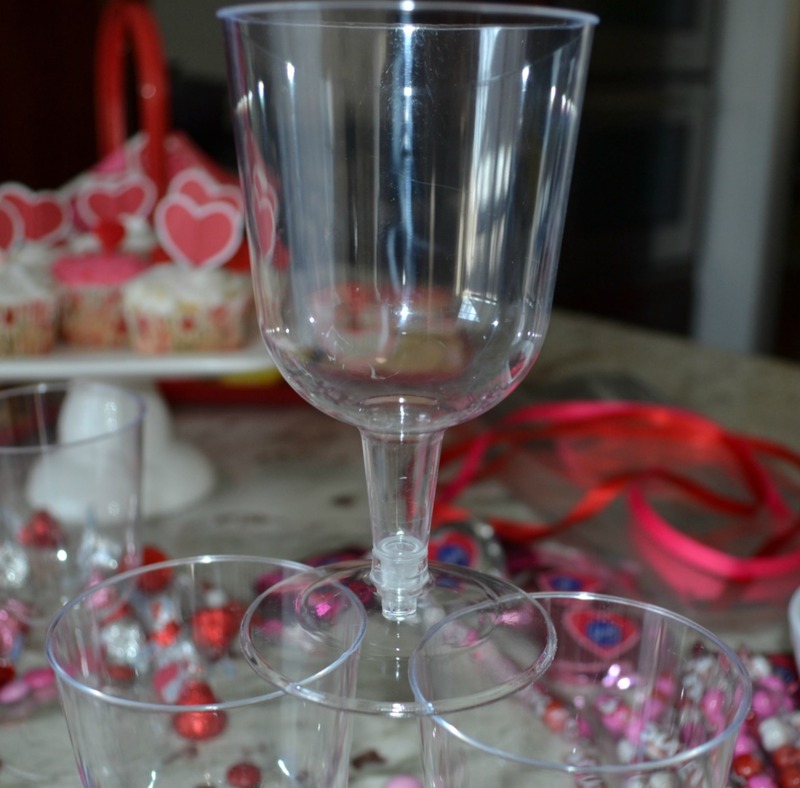 Place a cupcake on top of candy in each glass. 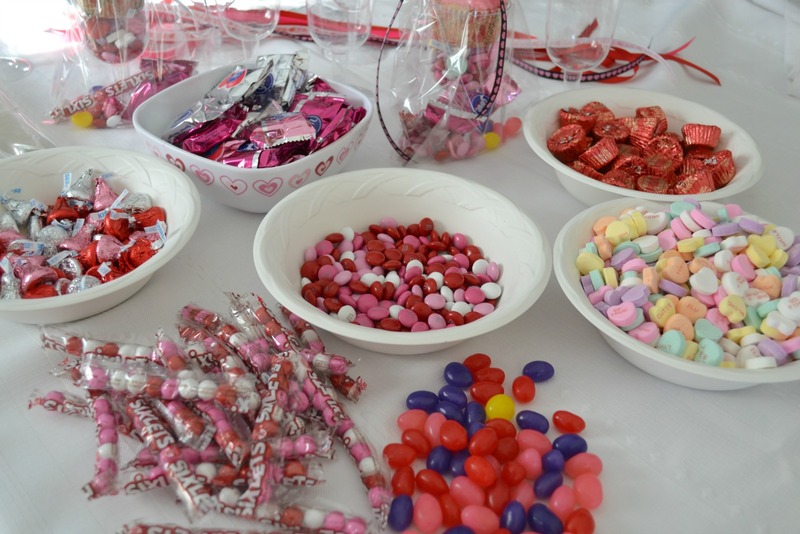 Place each glass in a treat bag, then throw in a couple of handfuls of candy, and tie the ribbon in a bow. The children in your life will love these little bags. 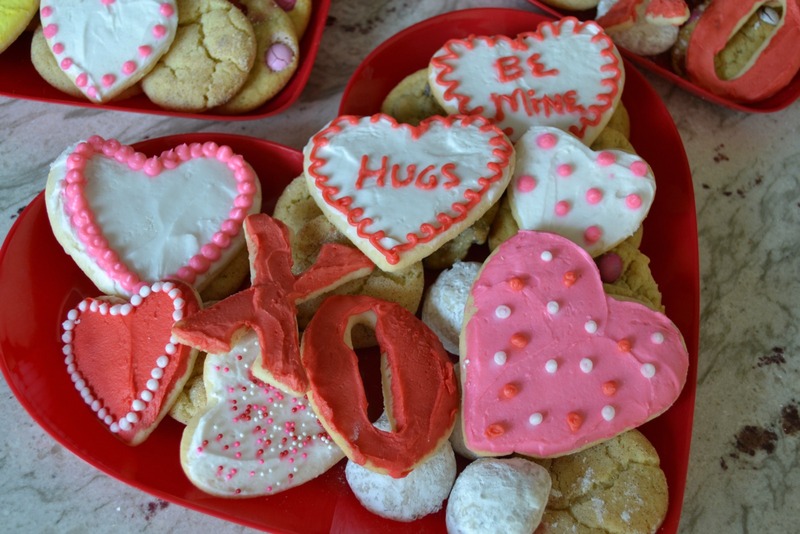 These are also cute treats for friends, neighbors and co-workers. 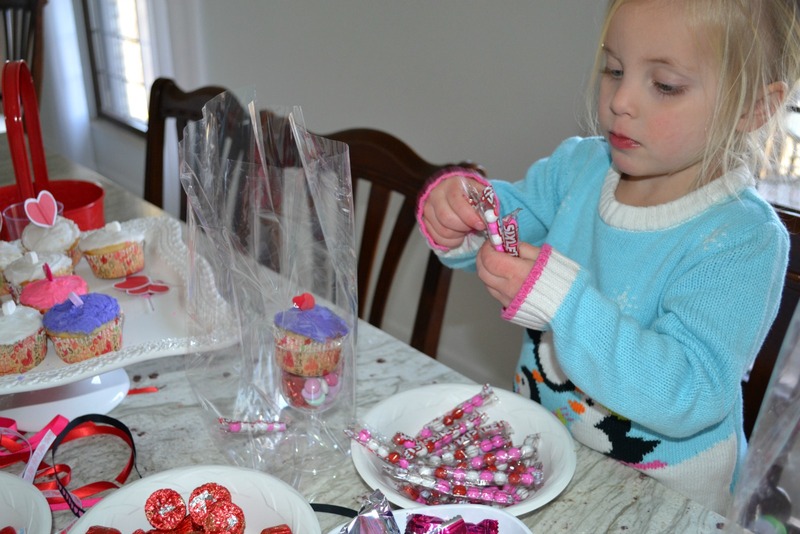 I was lucky enough to have one of my grand daughters to help me a few hours last week-end. 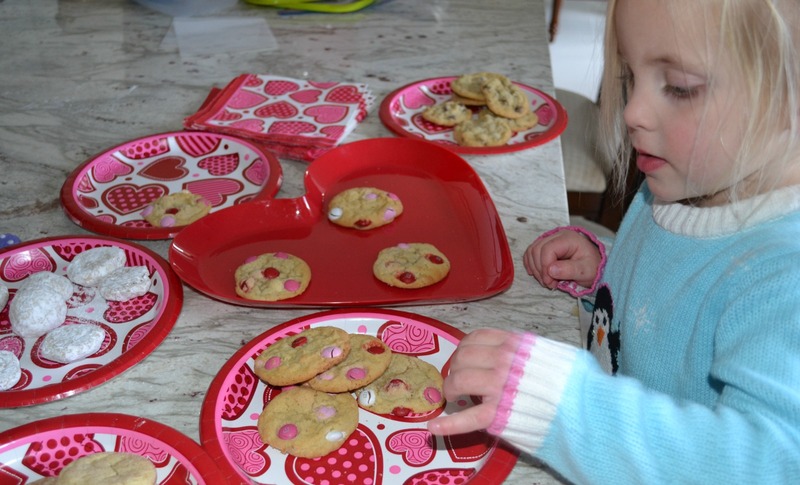 She carefully arranged each cookie on a tray, while telling me who would like to eat that one. 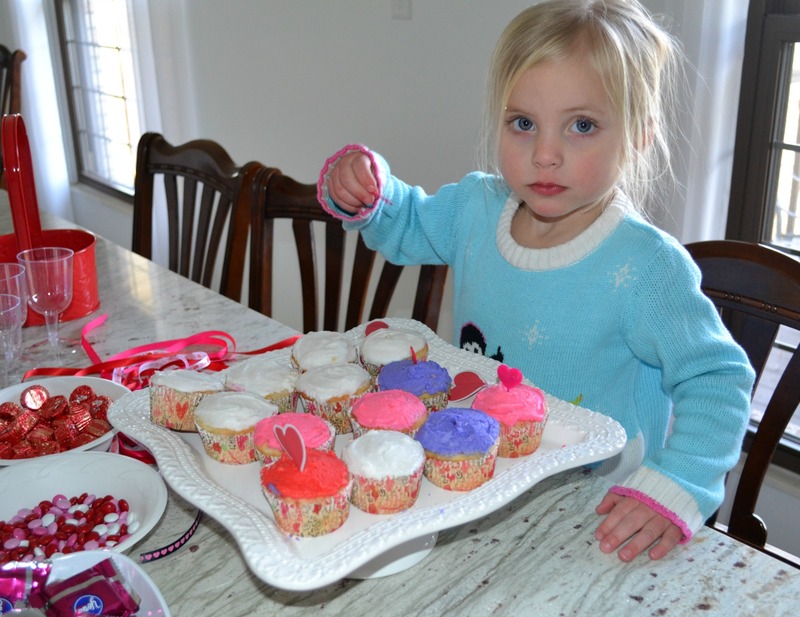 She made sure that each person was going to get their favorite color cupcake too. 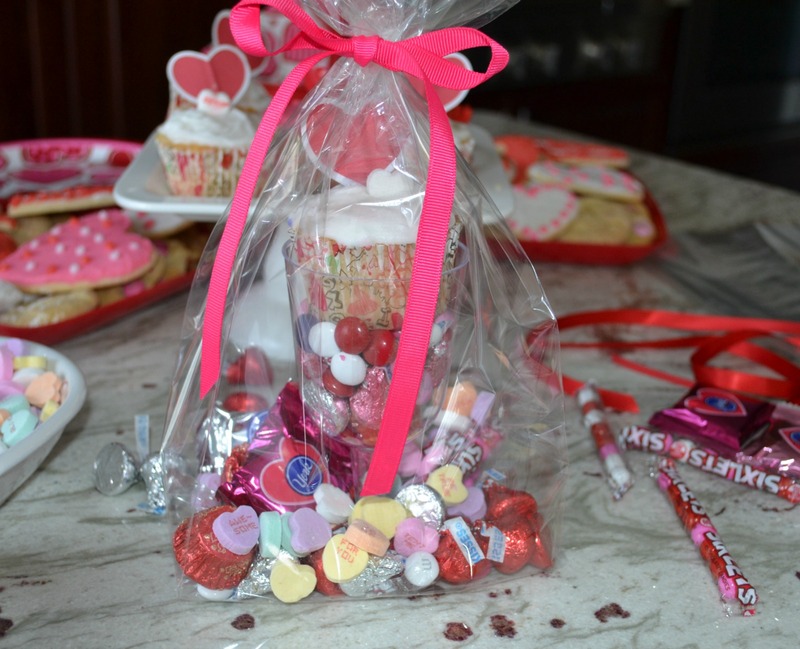 I love to have the children in the kitchen with me making treats and making memories. Thank you…my floor is such a mess afterwards. It seems like the sprinkles hang around for many vacuums. Kinda like the pine needles after we take down the Christmas tree. I’m so impressed with your cookies! Mine never seem to look nearly so well. 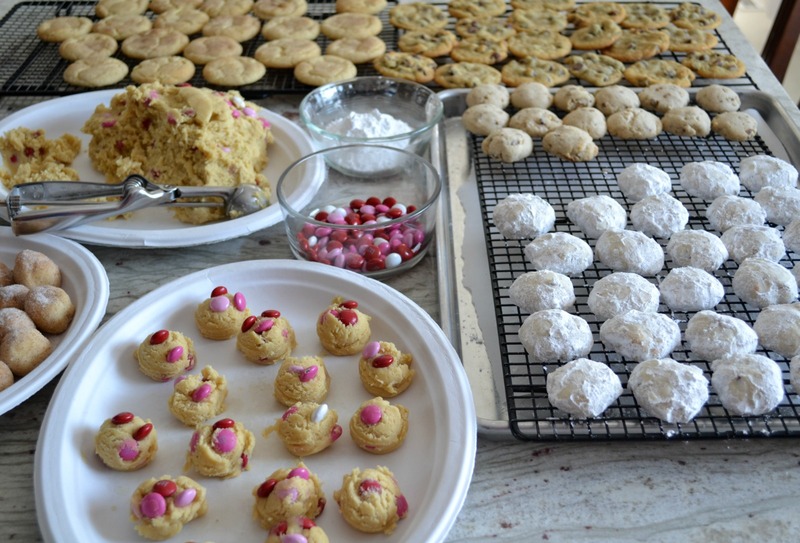 It is so much fun to bake with our grandkids, isn’t it! Thank you but mine are really not fancy. I don’t take time to smooth the icing etc on them, I just spread it and try to do some decorating. The grandkids do like baking with us and they think everything is beautiful so we are good!!! That is a good tip with the cupcakes that I had not heard before. The treat bags are very cute. I don’t make home made treats but I do purchase the heart shaped boxes of chocolates, with silly saying, for my boys (and now my daughter in law) and have since they were little. Its tradition…what can I say? It’s a wonderful tradition!! The kids love anything we do for them and that is what is so much fun. I have to mail the cookies to 2 sets of my grandkids. My daughter told me last night that the 3 year old ate one of the cookies and said “the mail lady did good! !” We were cracking up. 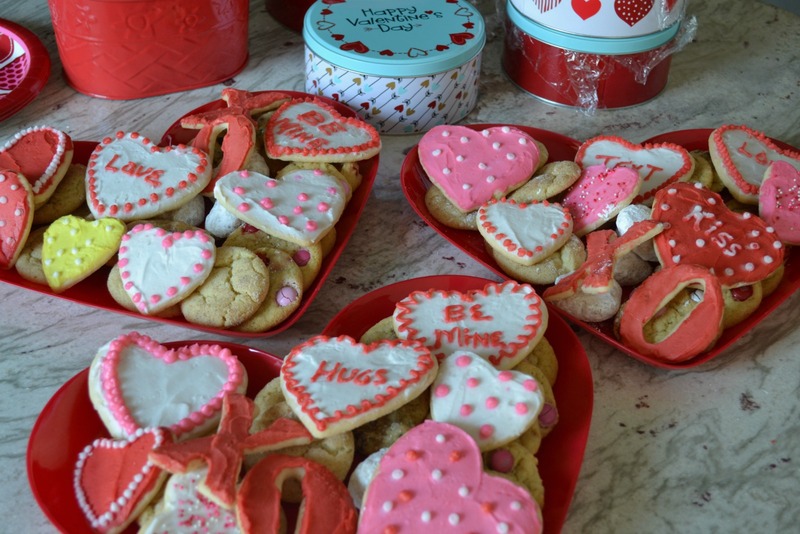 Anyone would love your beautiful cookies! And your helper is so cute. I love the way children have to determine exactly which one is perfect for each person! Hope all of you have a wonderful Valentine’s Day! Thank you..you are always so kind. Happy Valentine’s Day to your family too. 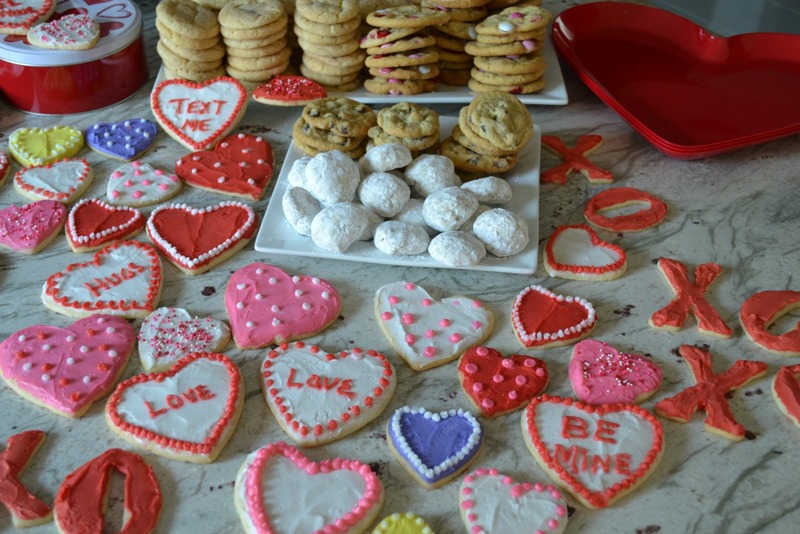 How long does it take to make all of those cookies? 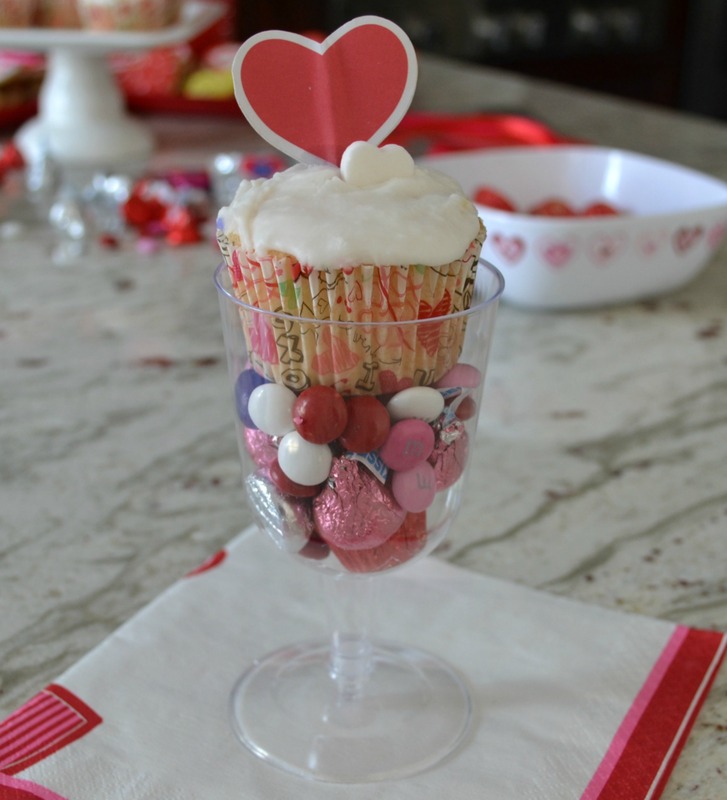 I like the cup with cupcake on candy. My oldest grand daughter would absolutely love this! 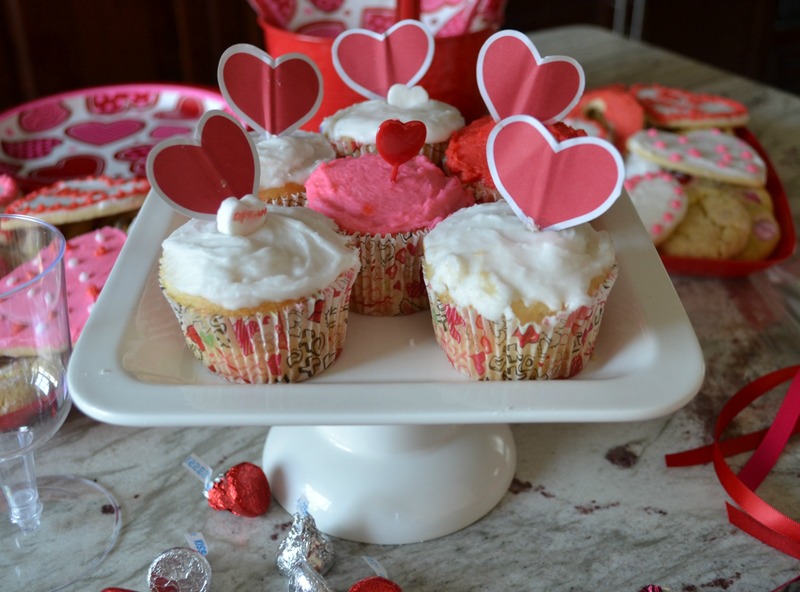 What lovely cookies and cupcakes you’ve baked up! Nice work! Thanks for linking up at #WelcomeHomeWednesday. We hope to see you this Wednesday http://www.suburbansimplicity.com. Thank you. 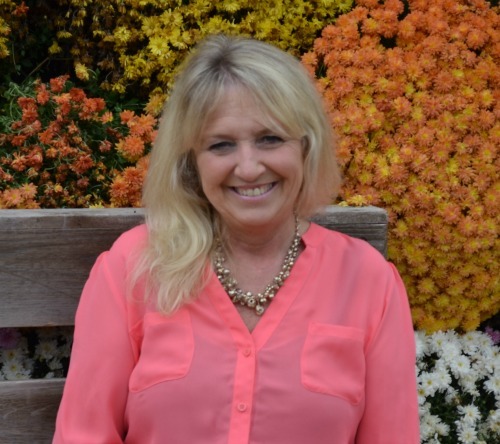 I love to find new blogs to read, everyone has so much to share and I really enjoy them.